I'll be honest -- we don't even use stockings (a combination of too lazy and too worried the 4 year old will pull them down repeatedly), but even still, I love small little gifts for the kids -- especially ones that have staying power and can be reused for entertainment on the go (like when we travel or go out to eat). So even if you aren't the stocking-type, you may still find some fun ideas here. All images courtesy of Amazon.com unless otherwise noted. 1. 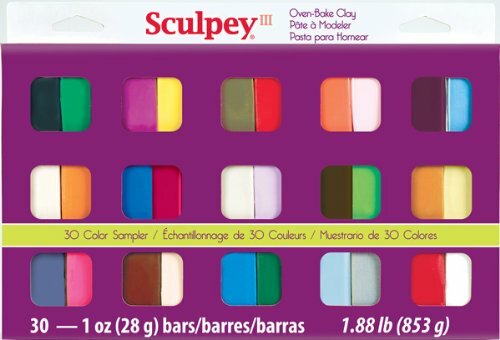 Modeling Clay: Any sort of clay will do, but we love the bright colors and SUPER-different-from-playdough texture of Sculpey clay. The best part is that it really only dries out if you bake it. Which means that if you opt not to bake, you basically have everlasting clay. 2. Matchbox Cars: Both of my kids adore these things. 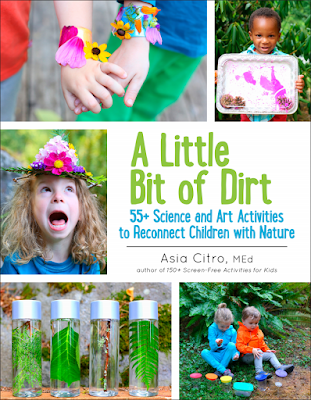 They appear everywhere in our sensory activities (which you probably know if you follow the blog or own any of my books) and have joined us at restaurants, on long trips, and on vacations. It's so easy to slip one into your purse and it provides hours of entertainment. 3. 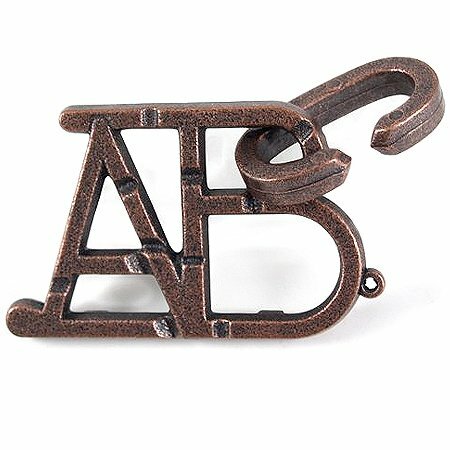 Mementos of their art (these also double as wonderful gifts for close friends and family members): This one is new to us this year but we are SUPER fans. S drew both a ladybug and a dragon and we got charms to hand out to her best friends...and her mama. And of course, S is saving one for herself. 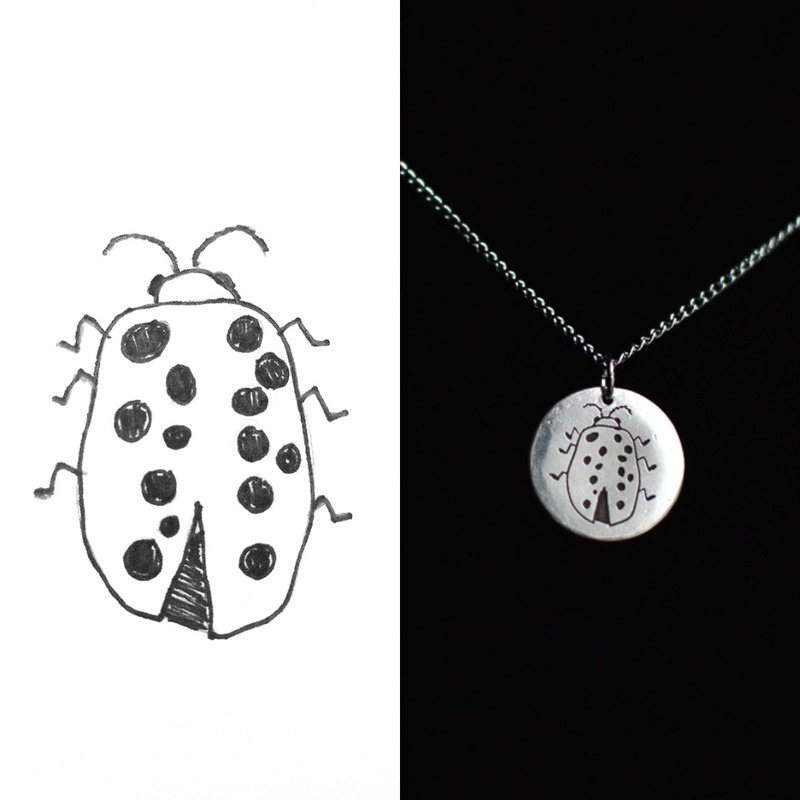 We are just so in love with how these turned out -- S's original drawing is on the left. 4. Kwik Stix: One of our new favorite art supplies -- these are technically tempera paint sticks, but they really function a lot more like mess-free pastels. My 4-year-old is downright obsessed with them and uses them nearly every day to create masterpiece after masterpiece. 5. Plus-Plus Blocks: This is another one that both kids (and honestly, we adults as well) really enjoy. 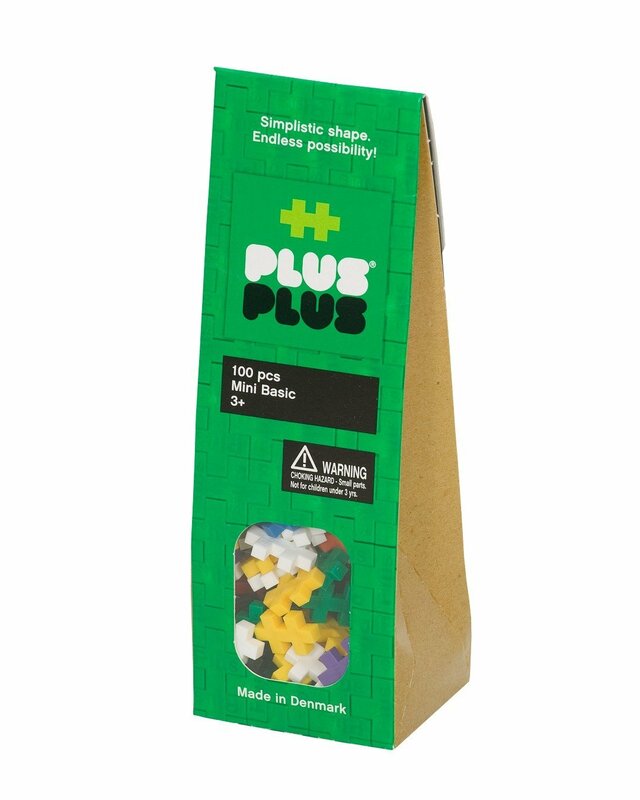 The little bricks are shaped like two conjoined plus symbols (thus the name) and they fit together by interlocking. I love packing these in my purse for long restaurant waits. 6. Crystal Growing Kits: OK, so this one technically only lasts once, but they're fairly inexpensive and have a big wow-factor. 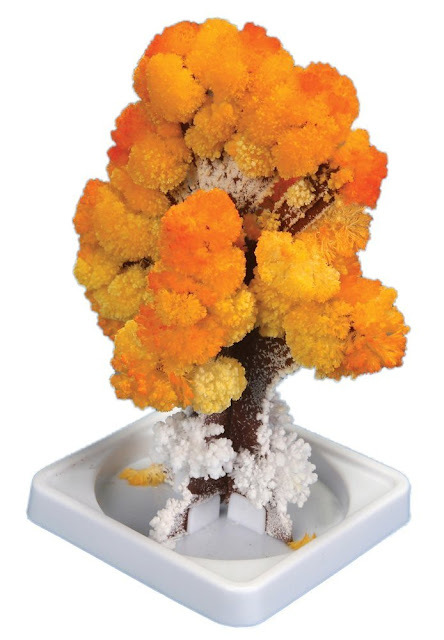 Both kids love checking in on these as their crystal trees grow larger and larger! 7. 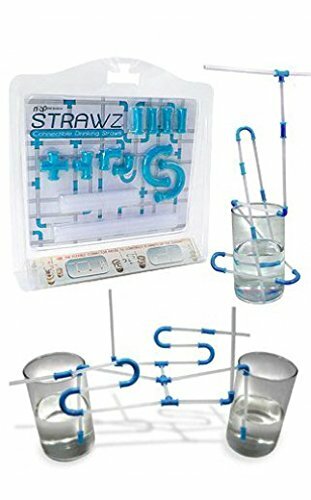 Strawz: I don't know about you, but I definitely had a collection of crazy drinking straws growing up that I LOVED. This is like an upgrade from that -- since you can build a ton of crazy different designs yourself. The kids get a kick out of drinking through their loopy creations, and I, of course, love the engineering involved. 8. 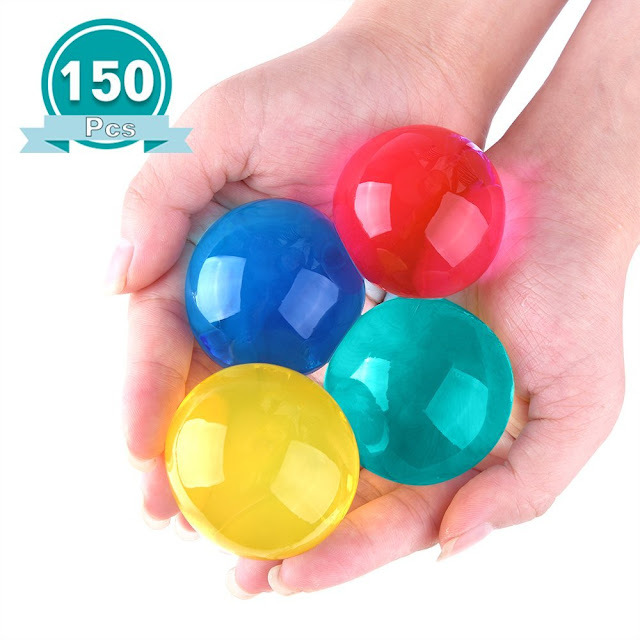 Giant Water Beads: These are NOT for little kids who are likely to mouth or try to eat these (and likewise exercise caution if you have pets -- like curious cats or dogs -- that may try to eat these), but for older kids these are a blast. 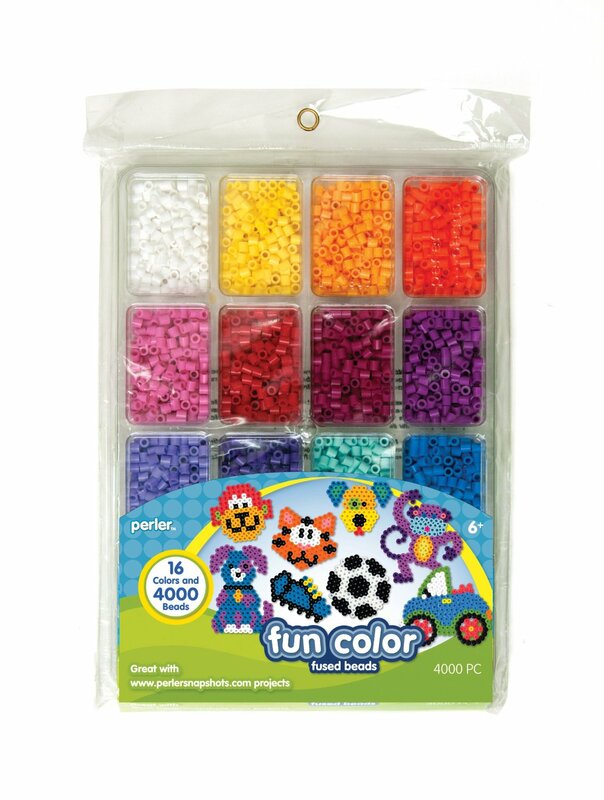 Smaller waterbeads are also fun, but we really enjoy the enormity of the giant waterbeads. They take about 2 days to inflate -- another reason to save these for the older kiddos who can handle the wait time. 9. 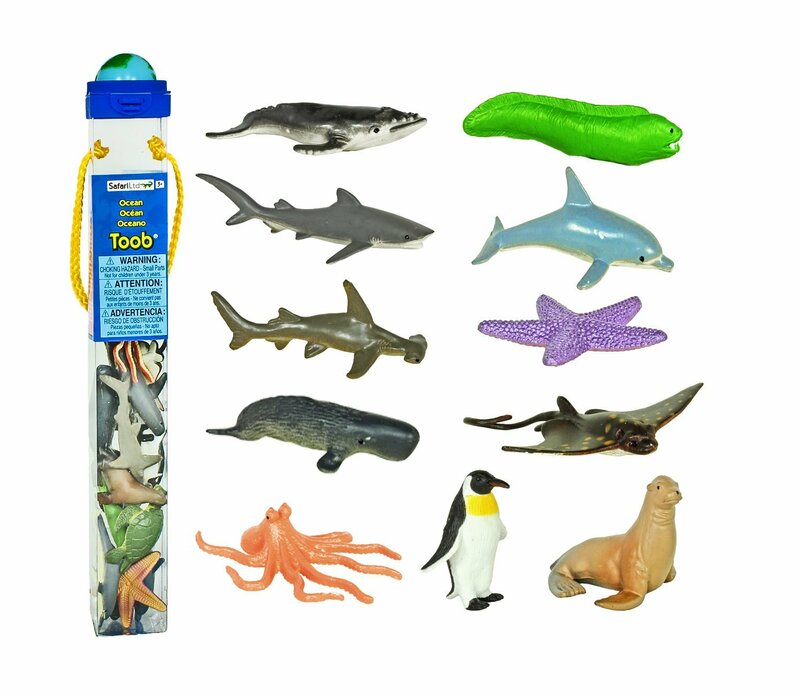 TOOB animals: These are a big hit and are featured in nearly all of our small world play (on the blog and in my first book). 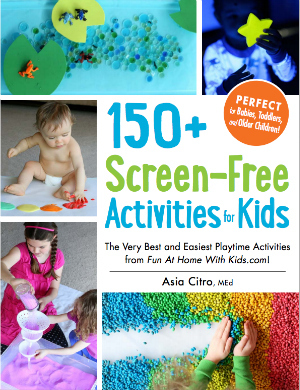 They are great in baths and for entertaining littles while traveling/waiting. 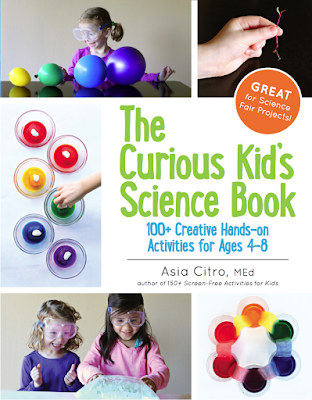 There are so many various TOOBS available, from cars to dragons to dinosaurs to fairies, you're bound to find one that aligns with your child's interests. 10. New Markers: We always welcome a new set of markers -- with a little one around we have some regular fatalities due to caps being left off or not put on tightly enough. 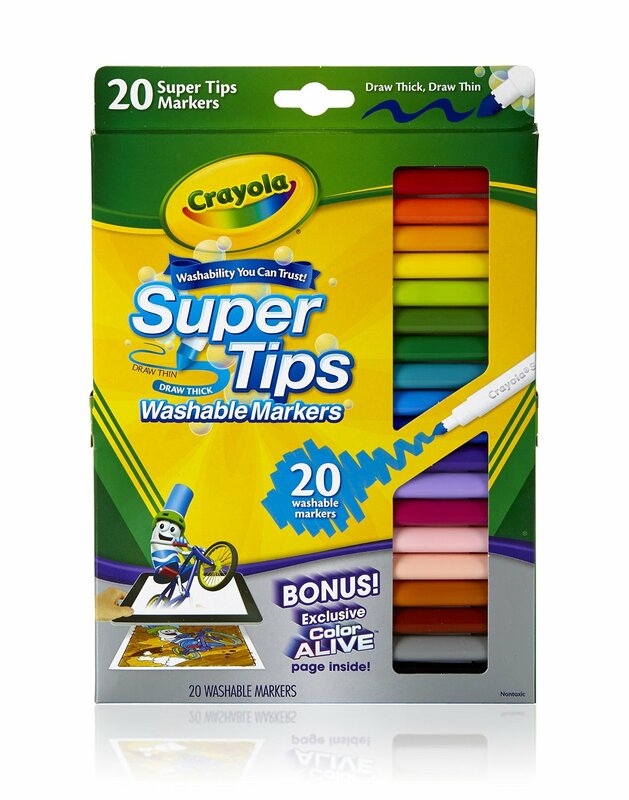 These are my favorite markers because they're pretty cheap and offer a giant variety of colors. Also, they're washable. 11. Mini-Card Games: For kiddos who are ready to learn their first basic card games, this set is super cute. The miniature size also works well for travel/waiting entertainment as a pack will easily fit into a purse. 12. Cast Puzzles: For those kids who enjoy a good puzzle/brainteaser, we have had a lot of fun with these. 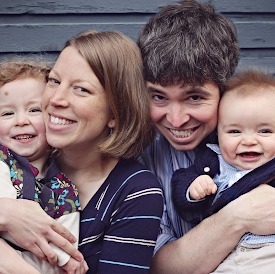 They are graded from easy through difficult, so you can pick the level that best fits your kiddo. At 7-years-old, the easy is just right for S.
14. 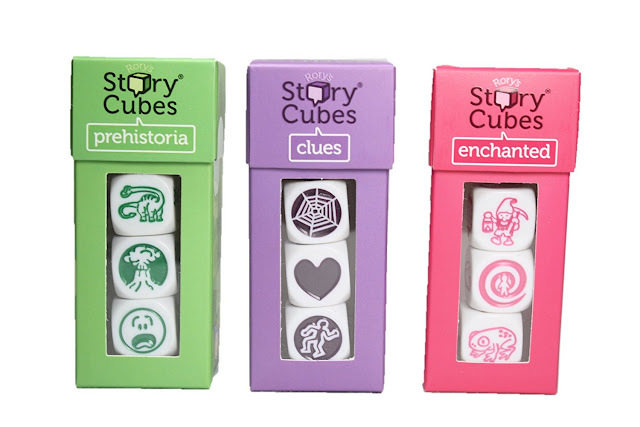 Story Cubes: These are great fun (and great practice at telling a story with a beginning, middle, and end) for littles and again, you'll see that they fit nicely in a purse for entertainment when traveling/eating out. It's also good exercise for your adult creativity if you play along. Basically you roll the dice and in order from left to right, you create a story that involves the pictures/symbols displayed. Around here our stories get pretty silly pretty quickly. 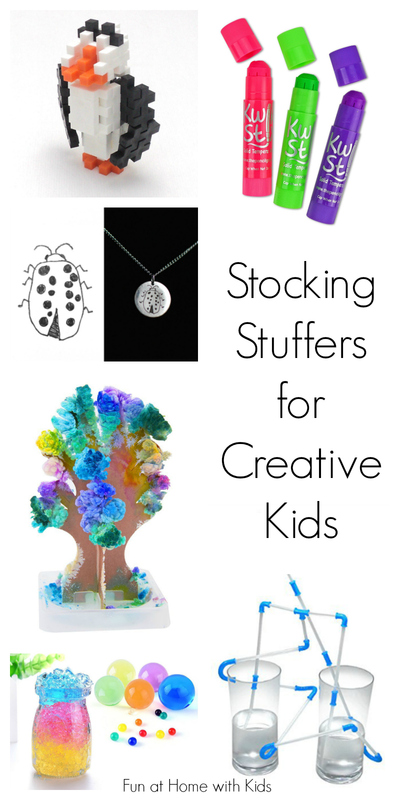 I hope this list gave you some new ideas for what to put in those stockings! And I hope that you have a great holiday season with your family! Thanks for this awesome creative post. Will surely give it a try.